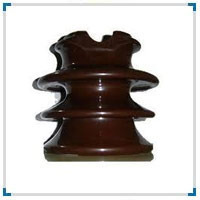 We are offering a wide variety of Ceramic Disc Cartridge Fitting in quater turn, half turn to our patrons. These are designed using optimum brass raw material as per the set market norms. Our offered range is famous for its wear & tears resistance, longer life, less maintenance, easy installation and abrasion resistance. Our esteemed clients can avail from us a qualitative range of Disc Fitting. Our offered disc fittings are designed with the keen observation by using finest unfinished material along with the updated technology. Apart from this, our customers can take these disc fittings from us only at market rates. Venus Brass Industry exporter and manufacturer of Disc Fittings of Brass parts. There are many products in Disc fittings. We are engaged in offering an extensive range of Disc Hardware Fittings. 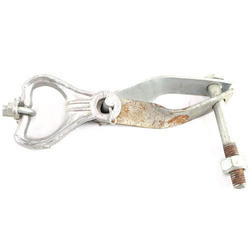 We have carved a niche amongst leading companies for offering a wide assortment of V Cross Arm. The offered product is sued in electrical applications, in telephone lines and in various other uses. We provide V Cross Arm to our customers as per the need of the application. Besides these, our V Cross Arm is quality tested. We are indulged in offering the finest quality 2 Bolt Disc Hardware Fitting. Owing to our proficiency in this domain, we are providing our clients an optimum range of Disc Fittings Part. Backed by our adroit team of professionals, we are able to provide our clients with an assorted gamut of Precision Brass Disc Fitting Part. Keeping in mind ever-evolving requirements of our respected clients, we are offering a premium quality array of Ceramic Disc Cartridge. - Approx 35 Rs to 50 Rs per piece as per quality, size and market.